Located on the south side of Rittenhouse Square, these Philadelphia pre-war condos are elegant and the demand outweighs supply. Living on Rittenhouse Square - A much sought-after address. 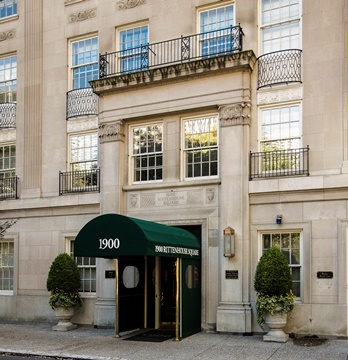 1900 Rittenhouse condos are a lovely example of elegant living in downtown Philadelphia. Located in the 19103 section of Center City. Lovely condos...lovely!